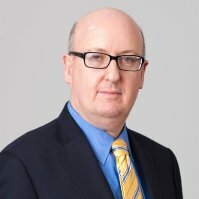 IQVIA’s Murray Aitken examines the potential for savings from a new wave of oncology biosimilars – but says payers have to invest in education and incentives to maximise uptake. 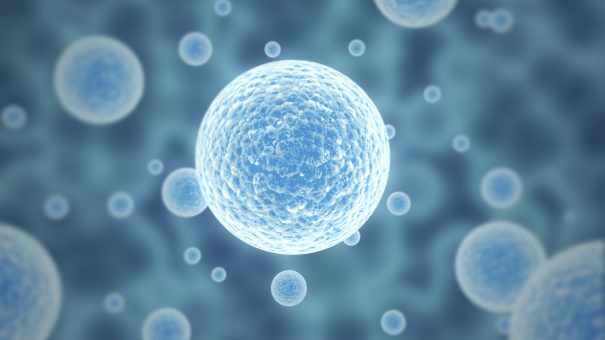 The global pharmaceutical industry is in the midst of an exciting period of innovation, with new treatments for rare diseases, cancer drugs and cutting-edge cell and gene therapies reaching the market and improving patient outcomes. At the same time, healthcare systems in developed nations are struggling financially, as this wave of novel and high priced treatments combine with an ageing population to push up annual cost increases well above inflation. Healthcare payers are looking harder than ever for ways to manage spending levels. The arrival of biosimilars in the major markets provides one such opportunity, and the next few years will see this trend continue with the launch of biosimilar versions of blockbuster oncology medicines. 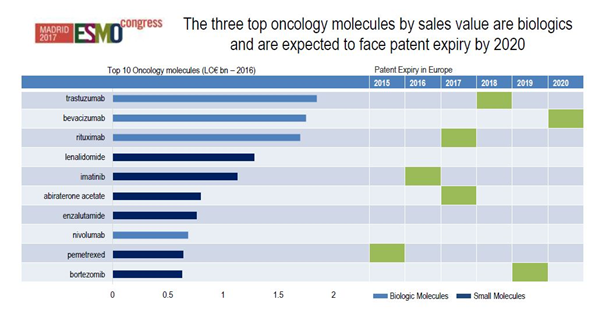 The IQVIA Institute for Human Data Science Study has developed a specific forecast for these new biosimilar molecules in oncology. The majority of the savings will be from three top-selling products which will likely face competition in Europe by 2020: MabThera/Rituxan (rituximab), Herceptin (trastuzumab) and Avastin (bevazuimab). Our economic modelling shows there is a savings potential in 2021 of just under €2 billion across all the European markets – a major opportunity for healthcare systems. So just how significant is this? Total expenditure in oncology in Europe in 2016 was €24.2 billion, an increase of €2.9 billion from the prior year. By this measure, the biosimilar savings represents less than 10% of total expenditure on oncology drugs. On the other hand, it is also represents 20% of the biologics expenditure, and two-thirds of the year to year increase. While the savings are substantial, they will not by themselves solve European healthcare’s sustainability problem. There will also inevitably be large variability by country and by molecule, as we have seen in biosimilar launches in therapy areas such as erythropoietins and rheumatology medicines. Nevertheless, biosimilars can be part of that solution for the future – provided stakeholders work together to realise the savings that are possible. What is required to achieve these savings can be summed up in three words: evidence, education and incentives. Before we examine those factors, let’s consider for a moment the strategies originators and biosimilar companies are adopting. Companies with originator products are responding in a variety of ways to these new competitors. One approach is to offer new patient services and support programmes, a trend we have seen particularly in the US. Roche is an example of a company which has developed updated originator products with more convenient drug delivery mechanisms. It has launched its subcutaneous trastuzumab in Europe, and this has been successful in retaining market share as biosimilar versions of the IV formulation reach the market. Our data shows that across Europe, around 20% of the volume of trastuzumab is now subcutaneous, based on the convenience and cost saving of reducing ‘chair time’ for patients. At the same time, the advent of biosimilars is a reminder to the R&D-based industry that their focus should be on the next generation of innovation, and biosimilars should be accepted as playing a role in improving the standard of care and creating headroom in healthcare budgets. We have seen a rapid proliferation in the number of companies involved in the development and commercialisation of biosimilars, many of them new to the field. Companies such as Celltrion and Samsung have already had a major impact in Europe. Their products have resulted in dramatic price reductions in the Scandinavian markets, where some originator products have lost almost all of their market share. At the same time, it seems likely that the market won’t be able to sustain the current large number of competitors in the long term, which will likely see only the most successful businesses sustaining a presence. Now let’s return to the three factors that will influence biosimilar oncology drug uptake in Europe. Despite the rigorous regulatory requirements put on biosimilars, many frontline clinicians are still not convinced that these substitutes are as safe and effective as the originator products. Therefore there needs to be an effort to build the data and the evidence for every new biosimilar molecule. It’s clear that oncologists in particular will look very closely at the evidence base for new cancer biosimilars reaching the market, and will need to be won over by the data; they won’t be convinced with experience of biosimilars in other therapy areas. That is going to require real world evidence (RWE) alongside published research and peer reviewed papers to provide that credibility. RWE databases and registries will be absolutely essential to generate this confidence. Manufacturers – and indeed payers – should therefore be investing in them. So that if and when a safety or quality issue arises, it can be put into context, and biosimilar uptake won’t be derailed by these doubts. Education is also important, and ESMO and other healthcare professional societies and associations in Europe are actively pursuing this. It’s essential that awareness and knowledge of biosimilars needs to be built up among nurses and pharmacists as well as oncologists and patients. 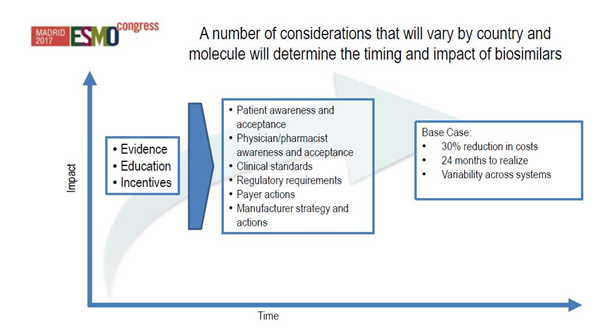 Figure 2: How evidence, education and incentives will impact biosimilar uptake. Source: IQVIA Institute for Human Data Science Study. The creation and alignment of incentives is needed within healthcare systems to ensure the appropriate adoption of biosimilars. We have already seen from experience in areas such as rheumatology that without this work, barriers to uptake can be immovable. This comes back to a very simple question: who in the system gets the savings created by the biosimilar, and where does it go? Does it go to treating more patients, to the next generation of innovation, or does it go back into the main budget pool, or indeed does it go back to taxpayers? Whatever the answer is, healthcare payers have to know where the money is flowing, and demonstrate how this affects different health budgets. We have to take this opportunity to ask where these savings will be best spent. There is a very real danger that this money will otherwise be swallowed up into budgets without some thoughtful discussion. How might these funds be reallocated in the spirit of building sustainable healthcare systems? There are no easy answers to this question, but that debate is necessary nonetheless if the savings resulting from biosimilar introductions are to be maximised and utilized for the good of all.